One of the two assembly lines. 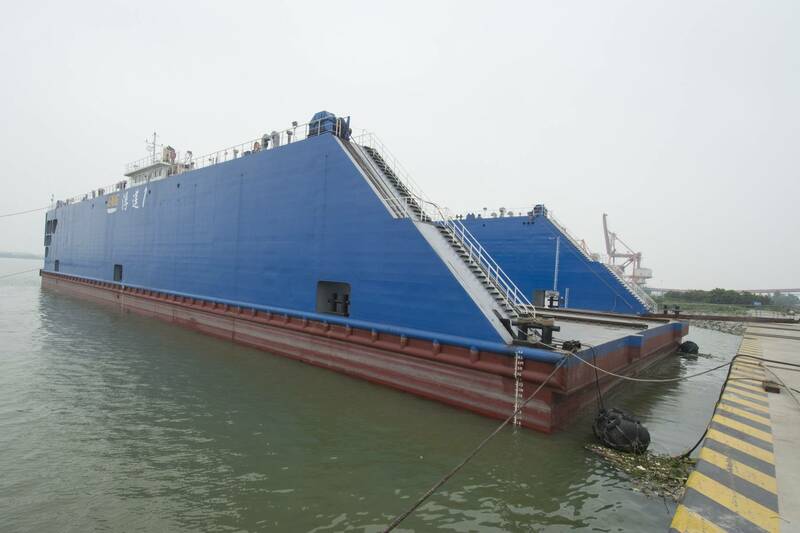 The Cummins powered drydock contributes to the yard’s efficiency. Cummins genset in one of the FastCat hulls. Two of the Philippine ferries alongside at the fitting-out dock. One of the ferries fitting out as seen from the bridge of a sistership. 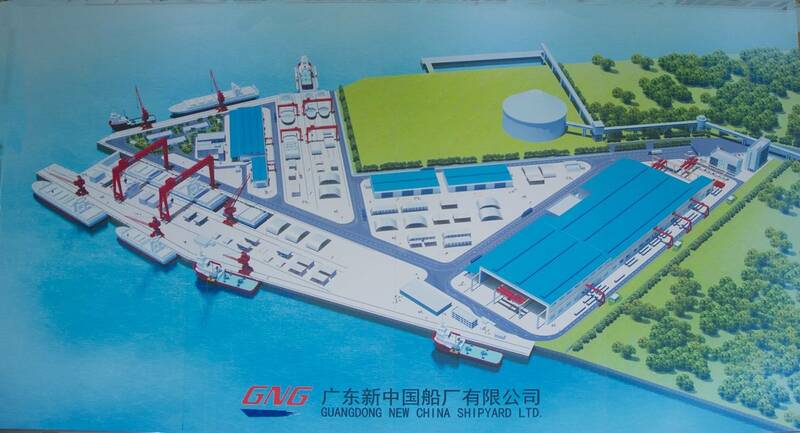 A schematic view of the Guangdong Bonny Fair Heavy Industry Ltd. Shipyard (formerly Guangdong New China Shipyard Ltd.) The two assembly lines with the floating drydock are top center. With an array of about 20 boats being built in assembly-line-like manner, the Guangdong Bonny Fair Heavy Industry shipyard (formerly known as Guangdong New China Shipyard) is a model of efficiency. Three ferries are fitting out alongside. Designed by the Australian firm Sea Transport Solutions, the 50 by 17.5-meter catamarans are each powered by four 485 kW diesels with two in each hull. 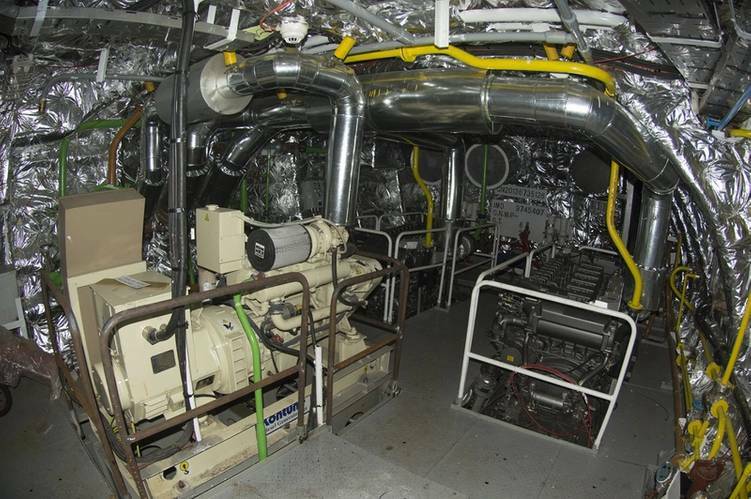 A pair of Cummins 6BT 5.9-liter diesels powering a 55 kW generator in each hull meet electric needs. 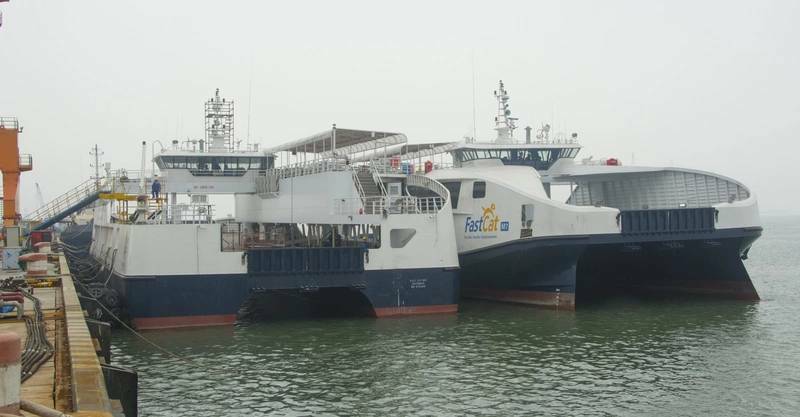 Shortly to be delivered to owners in Batangas, Philippines, the three ferries, part of a 10-vessel order, are designated FastCat M7, M8 and M10. 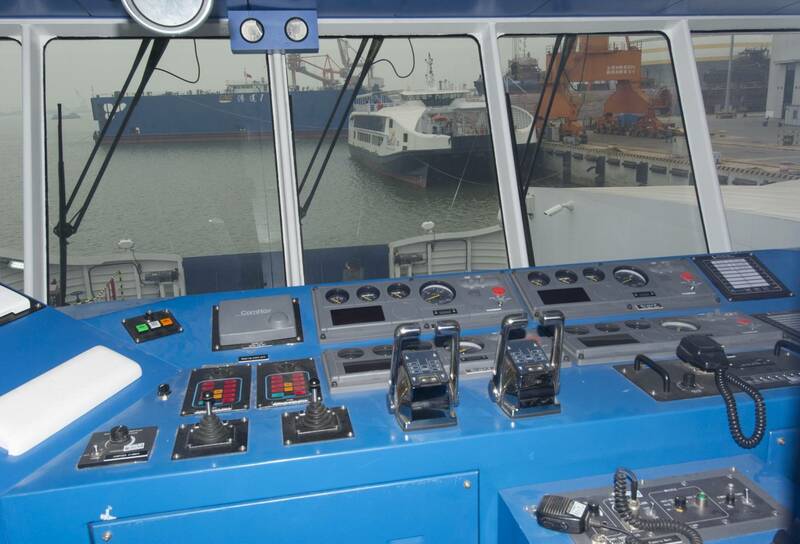 Capacities include 275 passengers, 16 crew and 130 meters of vehicle lanes. They all bear the common logo of a Cat and the proud designation: Fast Cat: FerrySafe, FerryFast, Ferry Convenient. The yard builds its efficiency on a large area with overhead cranes for construction of modules. In another area, three railway lines with overhead cranes allow step by stem assembly of the modules. These rails continue onto at a floating dry dock that can be shifted from one line to the other as required. This drydock is 89.8 meters long with a beam of 34 meters and a 27-meter clearance between the walls. The efficient operation of this drydock and its ease of pumping out is dependent on a pair of Cummins NT855 powered 245 kW generators. 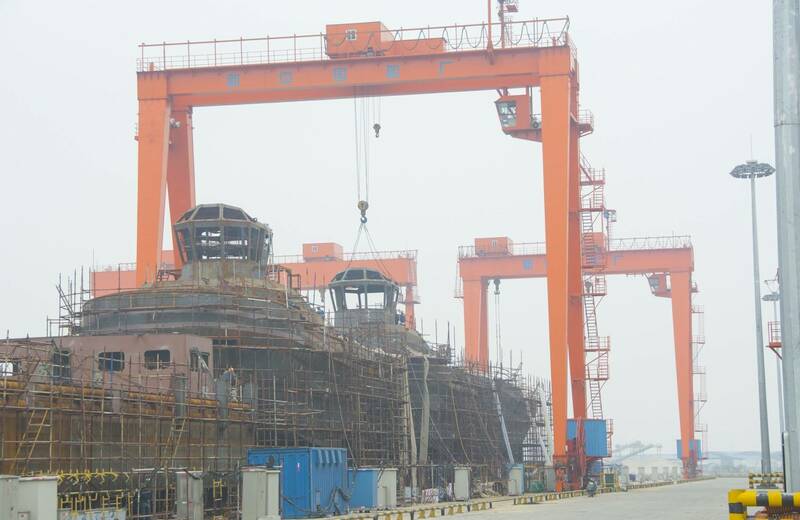 The Guangdong Bonny Fair shipyard is designed not only for efficiency but also to support ever more sophisticated vessels.